Have you ever noticed how others seem to have time to do everything they want, while you always seem to rush about doing a never-ending list of tasks? Do you think it's just because they have fewer responsibilities than you? Time management is something that many people struggle with. In today's busy world, it is important for everyone to manage time effectively in order to balance the conflicting demands of time for work, family, study, and leisure. 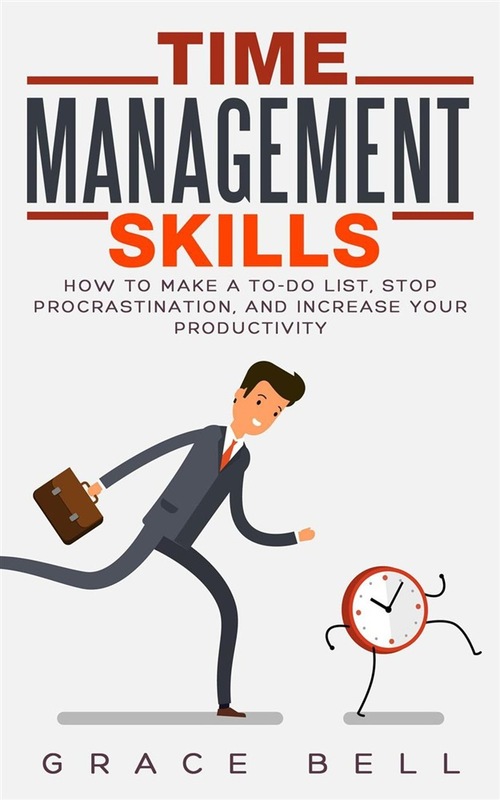 This book will provide you with effective strategies and tips for using your time efficiently and wisely. By reading this book, you will learn: • The importance of time management • How to make a to-do list • How to set your goals and priorities You will also discover: • How to overcome distractions • How to stop multitasking and replace business with actual work • How to stop procrastination The sooner you are able to master time management skills, the sooner you'll be able to achieve success and happiness. Download your copy of Time Management Skills now! Acquista Time Management Skills: How to Make a To-Do List, Stop Procrastination, and Increase Your Productivity in Epub: dopo aver letto l’ebook Time Management Skills: How to Make a To-Do List, Stop Procrastination, and Increase Your Productivity di Grace Bell ti invitiamo a lasciarci una Recensione qui sotto: sarà utile agli utenti che non abbiano ancora letto questo libro e che vogliano avere delle opinioni altrui. L’opinione su di un libro è molto soggettiva e per questo leggere eventuali recensioni negative non ci dovrà frenare dall’acquisto, anzi dovrà spingerci ad acquistare il libro in fretta per poter dire la nostra ed eventualmente smentire quanto commentato da altri, contribuendo ad arricchire più possibile i commenti e dare sempre più spunti di confronto al pubblico online.